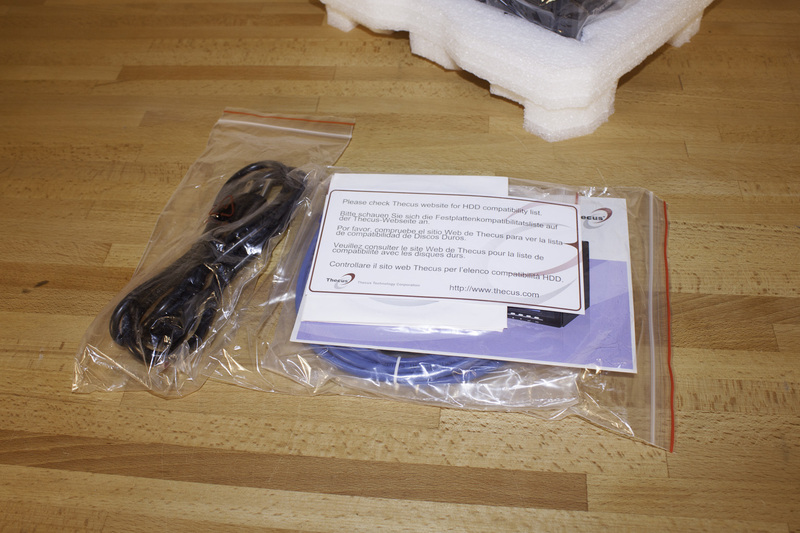 The box that the N5550 shipped in is fairly plain, but this is a common trend in products that are meant for medium sized businesses and larger. 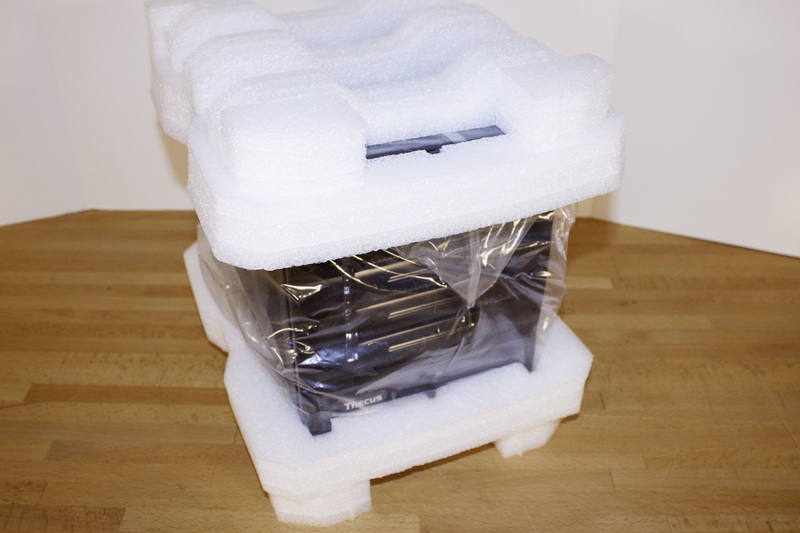 In most cases the people buying this will not hold onto the box for long and if they do it is only in case the product needs to be sent back for repair. Inside the box you have the N5550 safe inside a plastic bag and two Styrofoam end pieces along with a few accessories. Thecus has chosen to drop in the power cable, manuals, utilities DVDs, mounting screws, two sets of tray keys and a single network cable. 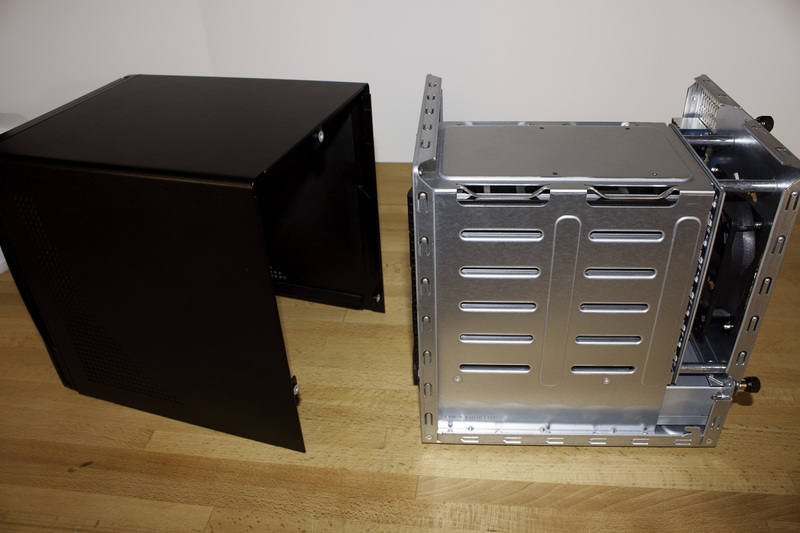 We do wish that manufacturers that make NAS devices with two LAN Ports would include two network cables. It is a small detail, but one that can be important to the end user. 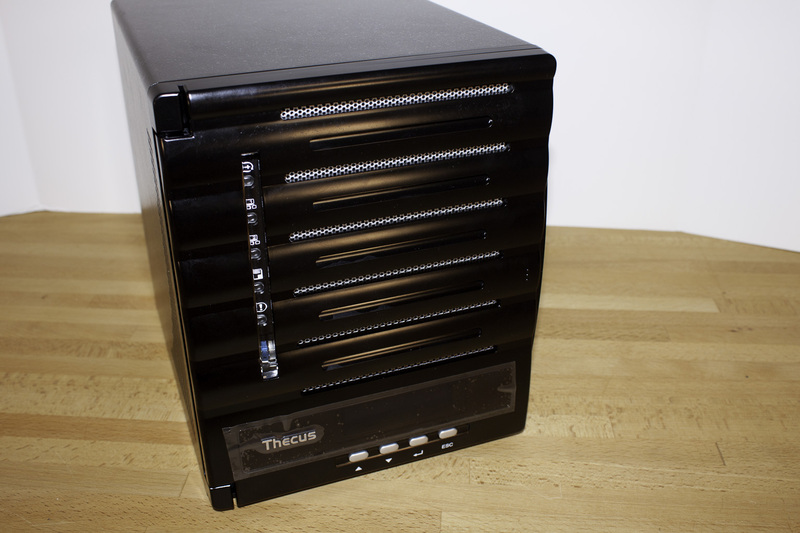 The Thecus N5550 is a five-bay network attached storage product. 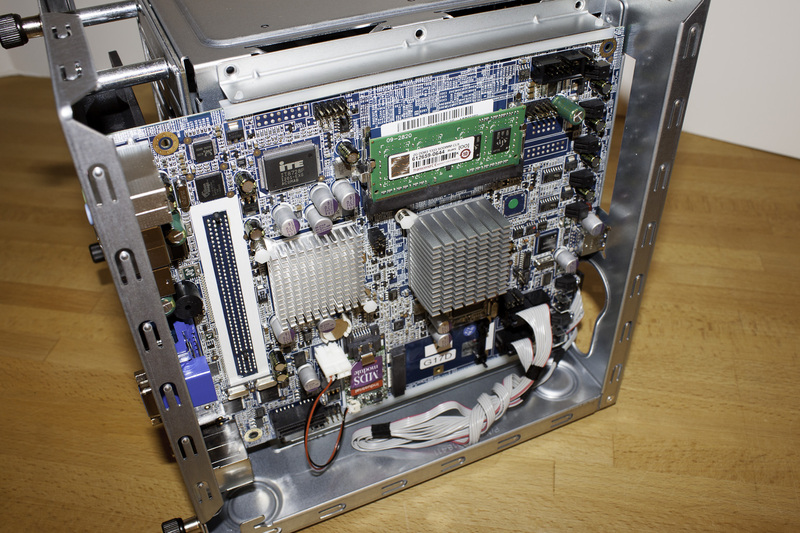 At its heart is an Atom CPU (The Atom D2700) combined with an ICH10R and 2GB of CL9 1333MHz DDR3. 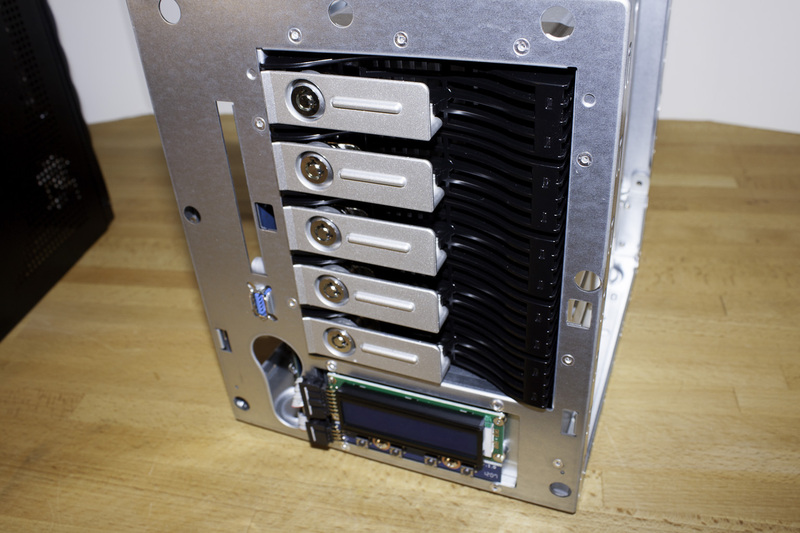 Thecus uses their own RAID OS which allows them to combine these components into a single unit and give them similar performance and stability to hardware RAID. The OS module acts as the firmware for the system which then utilizes the CPU, RAM and Controller to take care of everything else. The front has a plastic door that covers up the drive bays and also acts as something of a dust barrier. You can still see the activity, LAN, power and alert lights along with the LCD that is below. This LCD scrolls through different information and also lets you do a little bit of configuration. The front door opens by pressing it on the right side (there are three raised dots). Once open you get the full view of the front of the N5550 including the USB 3.0 port that Thecus included. The drive bays are the same that we saw with the N2800 and in fact these are the same ones that Thecus has used going back over 7 years to the N5200 Pro. They are very simple in design, but still work well. 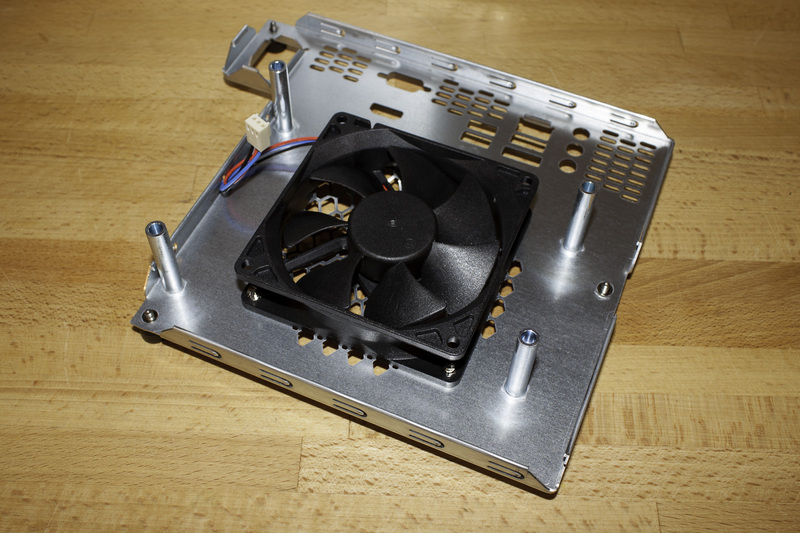 Moving around to the back we find a single large fan which is responsible for keeping everything except the PSU cool. 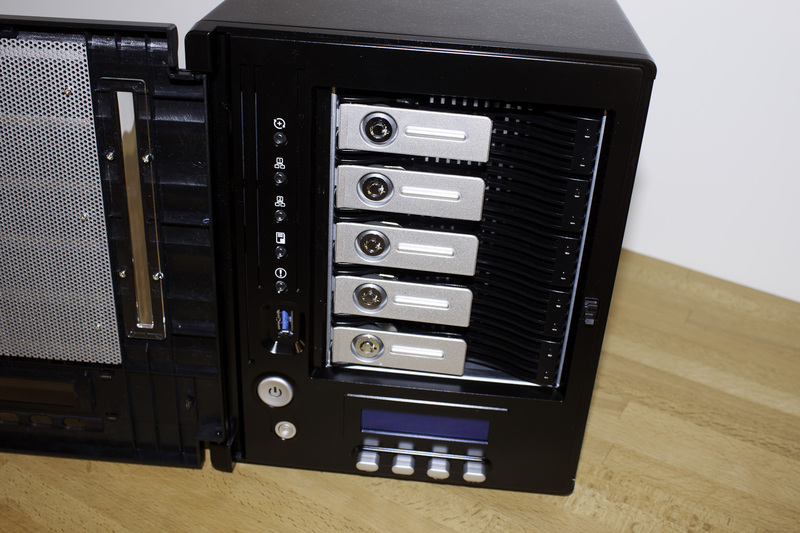 You can also see the I/O options which include audio in and out, eSATA, 4 USB ports, HDMI and VGA for direct video and the dual LAN Gbe LAN ports. 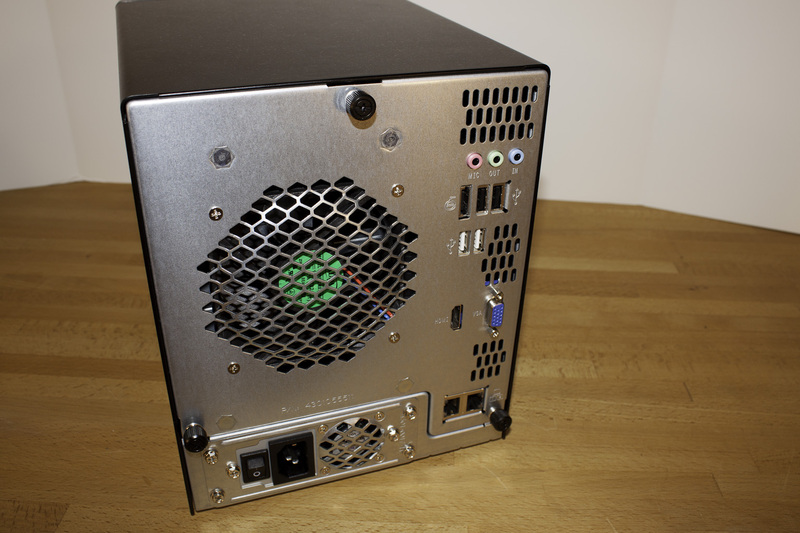 The N5550 has an Enhance 200 Watt PSU to run everything. 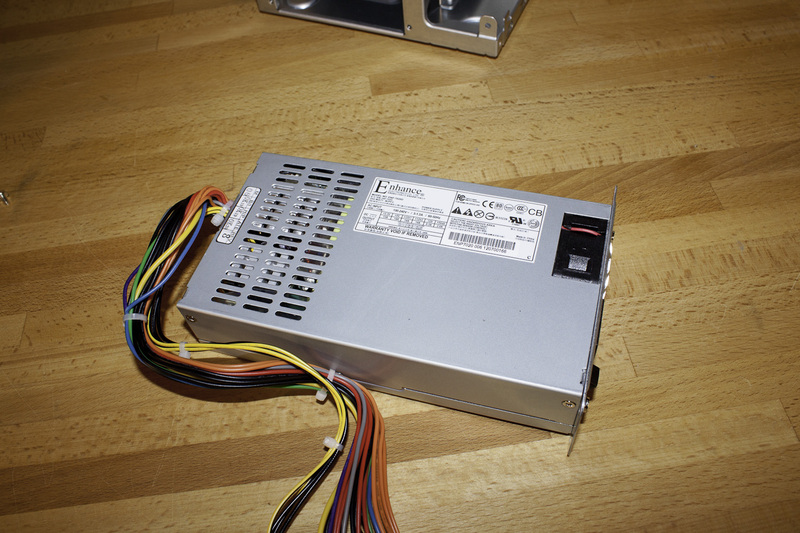 This PSU, while still well inside the power requirements, is a little smaller than we would have liked to see. Getting at the insides of the N5550 is very easy, you simply unscrew the three thumbscrews and pull the lid forward and up. From there you can gain access to all of the internals. 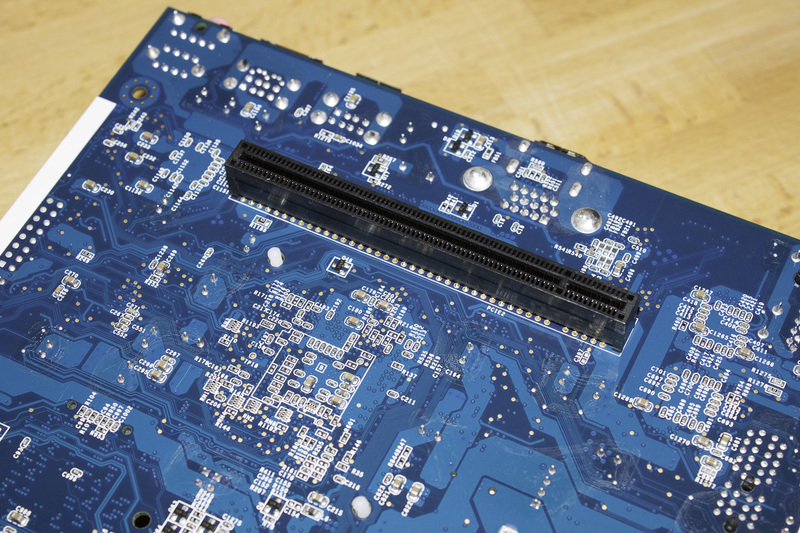 Removing the outer case also frees up the motherboard. As you will see in our video coverage the rest of the disassembly is a snap. 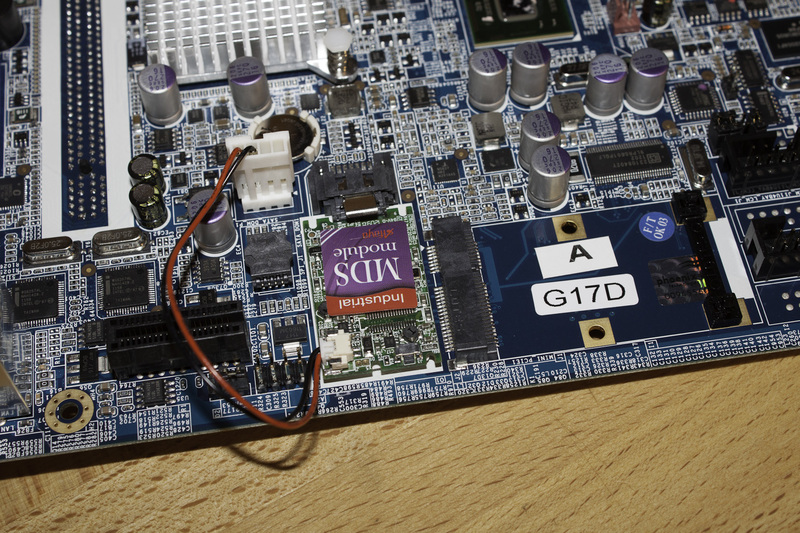 One item that we did find very unusual is that Thecus is transferring system power through an x16 PCIe slot to the motherboard through the backplane instead of the opposite. While this is a novel method we do not see it causing any issues in terms of performance. Looking at the motherboard in the N5550 it seems that this board might be used in more than one product. 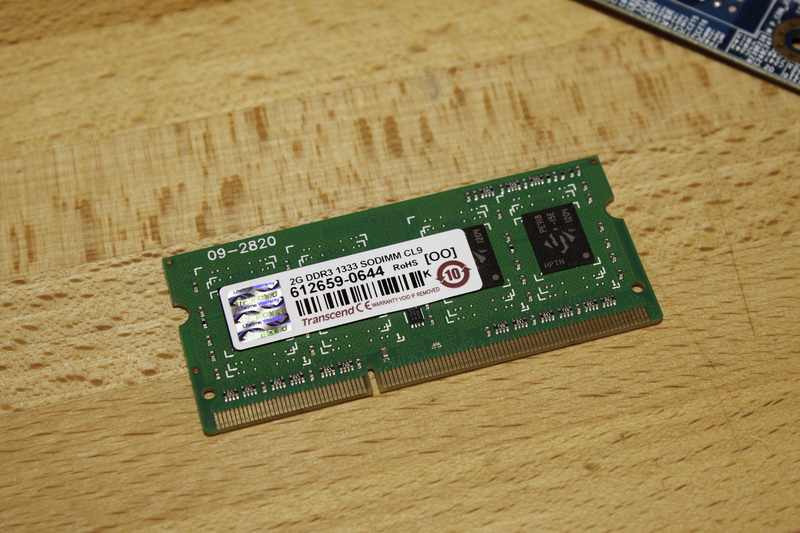 We found a PCIe GEN 1.0 x1 slot along with an mPCIe slot. In the N5550 these appear to have no listed function, but in other products they might. 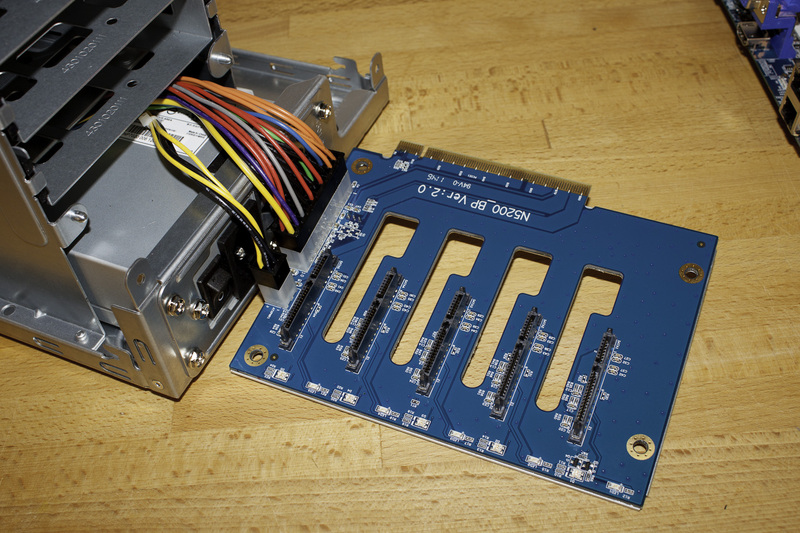 The N7700 Pro V2 ships with a PCIe x4 slot to allow for a 10BGge LAN adapter to be installed. It is possible that these were left for this type of expansion, but Thecus did not list them in their manual or in their specifications for this particular product. 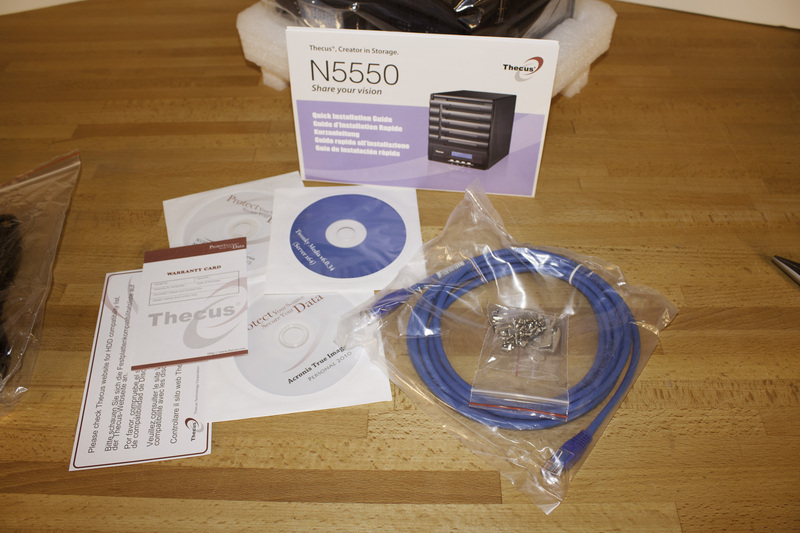 Overall the Thecus N5550 looks to be well built even if it does have some unusual design choices. We will be interested in seeing how well it performs in the lab and if these choices will impact performance or stability when all of the drives are working under stress. So far our experience with the Thecus N5550 has been an interesting one. 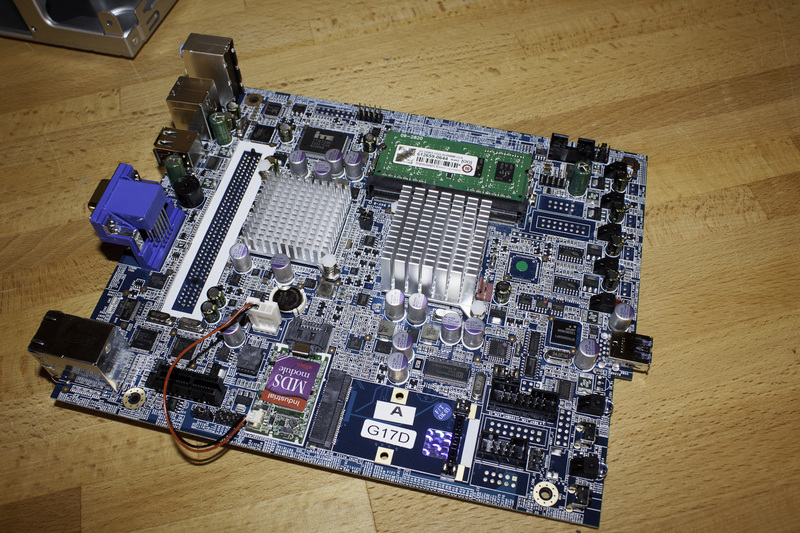 The design is unusual in that they are powering the motherboard through the backplane. This might have advantages, but right now it is just different design. We will load of the N5550 to see what the results of this design are. 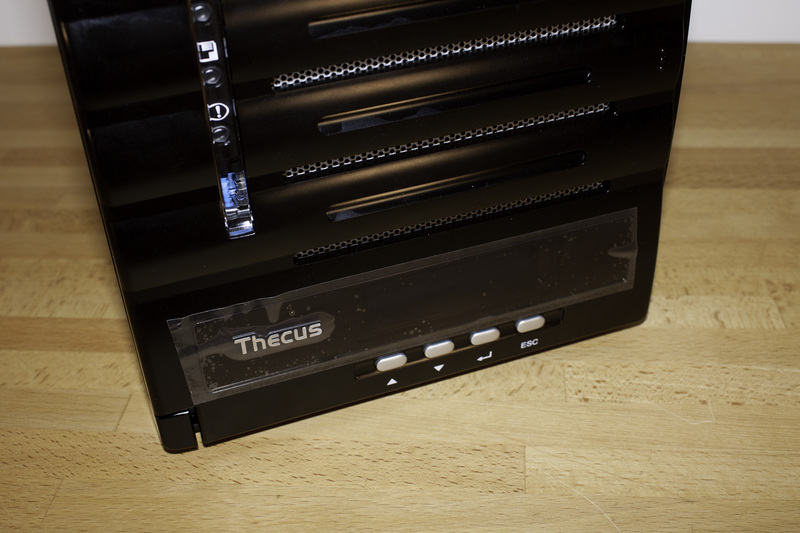 We also noted that Thecus decided to leave the USB 3.0 ports off of the back of the product. This was an interesting move unless they only intended that port to be for a direct attached back up. We will be taking our time in our testing of the N5550 to see how it deals with power draw when under heavy loads. 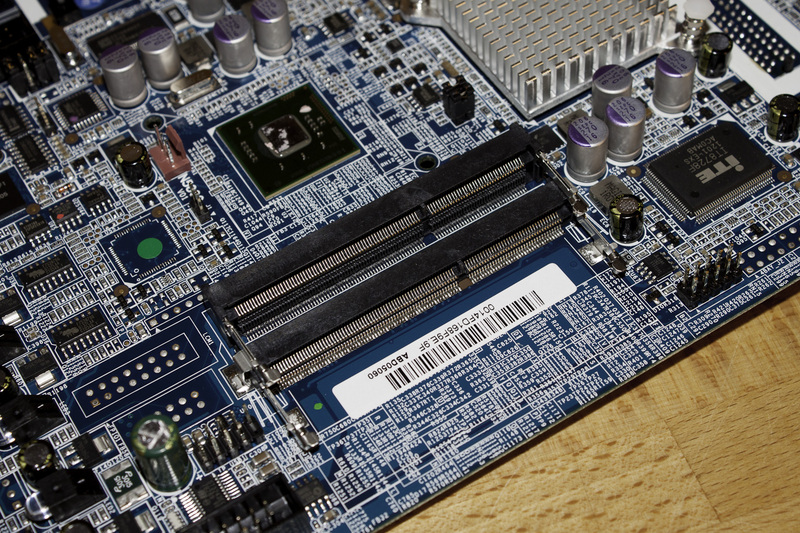 We would like to see if it is proportional products that power the motherboard first and then the backplane. For now it still looks like Thecus has good product on their hands with the N5550in terms of design and construction all that remains now is to see how fast it is.